The famous painter Anders Zorn had strong bonds to the traditional Swedish folk music, especially that of his home province Dalarna (Dalecarlia). He organized the first folk music players’ meet in Gesunda, Dalarna, in 1906. The motive was partly that he wanted to find out how much of the old music traditions that were still alive, and partly to stimulate interest in and support for the traditional music. This first meet was regional and organized as a competition. In 1910 the first riksspelmansstämma (approx. “national folk music players’ meet”) was organized at Skansen in Stockholm. Musicians from all parts of Sweden were invited. Anders Zorn firmly opposed the idea of holding a competition. His line of reasoning was that the styles of traditional music in different parts of Sweden were very diverse, all with their own qualities. They should not be pitched against each other. Instead Anders Zorn created and paid for a badge made of silver which was awarded to all participants in the meet. This badge was never used again during Anders Zorn’s lifetime. In the beginning of the 1930s Svenska Folkdansringen (The Swedish Folklore Association) through an agreement with Mrs. Emma Zorn could revive Zornmärket, or the Zorn badge, and reinstate it as an invigorating element on the Swedish traditional music scene. Statutes were drafted and Svenska Folkdansringen could at a folk music players’ meet in Västerås 1933 for the first time hand out the Zorn badge in gold, silver and bronze. During the following decades the Zorn badge was an important factor to keep the folk music traditions alive in different parts of Sweden during a period of decline. Today the traditional music stands strong and a wealth of other musical styles get inspiration from it. However, the Zorn badge still today successfully fulfils its original mission to further traditional folk music all over Sweden. The Zorn badge in gold, silver and bronze is awarded in order to increase the interest in Swedish traditional folk music and stimulate new generations to master and pass on the traditional ways of playing that have been inherited from previous generations of folk music players. 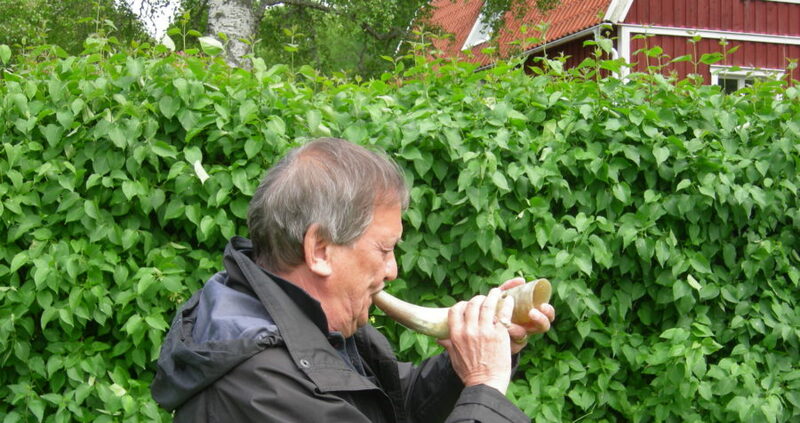 The Zorn badge is awarded for solo playing on instruments with a traditional repertory transmitted from generation to generation mainly through aural transmission, including instrumental herding music and herding calls (kulning). The Zorn bronze and silver badges are awarded after an audition before a jury. The Zorn gold badge is awarded by the jury to exceptionally important and skilled tradition bearers. With each badge there is a diploma containing the motivation for awarding the badge. A diploma can also be awarded without a badge. The recipients of the gold and silver Zorn badge have the right to call themselves riksspelman (approx. “national folk music player”). This is a tremendously esteemed and respected title known by most Swedes. According to the statutes Svenska folkdansringen appoints a Zorn Badge Committee to administer the procedures. The Committee is made up of a secretariat and a jury group. The secretariat shall have at least three members. The secretariat takes care of all the practical issues involved in organizing adjudications. The jury group has six ordinary members and three substitutes. It is composed of persons with thorough knowledge of Swedish traditional music, all master tradition bearers. The task of jury members is to adjudicate at the auditions and decide on awards. The jury group also decides which of its members are going to judge at upcoming auditions. At auditions the jury can also co-opt a member who is a specialist in the repertory and styles of certain regions or instruments. Auditions can be arranged on national or regional level. They are usually organized in cooperation with a local folk music or folk dance association. Auditions on national level are organized once every year in the summer which is the time of the year when most players have an opportunity to attend the auditions. The location varies from year to year. The auditions take place during 4-5 days. Usually 60-90 musicians appear before the jury during these days. The results of each day’s auditions are announced at 5 p.m. All musicians are offered the possibility to meet privately with the jury members in face to face talks to get advice in the evening after the auditions. The auditions are recorded and archived at Svenskt visarkiv, the Centre for Swedish Folk Music and Jazz Research. The week of auditions is concluded with a riksspelmansstämma (approx. “national folk music players’ meet”) where the Zorn badges and diplomas awarded during the auditions are handed out. Auditions on the regional level take place when asked for by regional bodies, on an average every other year. Svenska folkdansringen receives a government grant for all its different activities and a small part of that grant is used for the Zorn badge auditions. All folk music players who register to be adjudicated pay a fee. However, these fees and the money put aside by Svenska folkdansringen do not cover the costs for the auditions which are very much dependent on voluntary work. Due to the audition process folk music players are striving to reach the standards of the different levels of Zorn badge awards and are not competing with other players. The highly regarded title riksspelman inspire folk music players to become skilled at traditional repertory and playing styles in order to obtain this title and thus keep these musical traditions alive. The integrity of the jury members and reliability of their judgments. The advice given by the jury members to the players enhance the safeguarding process. Volunteers from Svenska folkdansringen and other organizations make the auditions and the national folk musicians’ meet at the end of the auditions possible. Svenska Folkdansringen (Swedish Folklore Association) was founded 1920 and has more than 350 groups all over Sweden. 15.000 members of all ages pursue activities covering our original folk culture, mainly focused on dance, music, traditional costumes and handicraft.